How many times a day do you experience the frustration of not being able to find something when you need it? And right now, Megatex is giving away two great, useful freebies that you can keep close at hand! 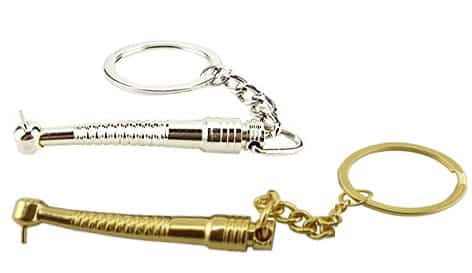 You can currently snag a FREE dental handpiece keychain that attaches to your keys. You can use it to remove unwanted pieces of food from your teeth after a meal when you are out and about! This handy little dental handpiece comes in silver and gold. You can also get another awesome freebie from Megatex! While supplies last, you can get a USB stick along with a Megatex product catalog. The USB freebie is great because you can use it to store important computer data and files. Then, you can access those files from a computer regardless of where you are! Fill out and submit a brief form to get one or both of these awesome freebies before they disappear!